Sometimes all you need is a holiday with nothing but relaxation and cocktails by the pool. But for quite a few of us a bit of exploring and adventure is very much needed. Visit some historical sites in Spain and come home with fascinating stories of Moorish kings and roman conquests. UNESCO world heritage sites are places of cultural and natural importance. In Spain there are now 45 of these sites, third only to China who have 50 and Italy with 51. But, out of all these 45 sites, which historical sites in Spain should you visit? Below we’ve put together 5 of the most famous historic buildings and archaeological sites in Spain. This stunning provincial capital Cordoba is one of the best historical sites in Spain. Once the largest roman city in Spain and a great caliphate of the Moors. The historic centre of Cordoba was named UNESCO to include its charming old town and impressive mosque. 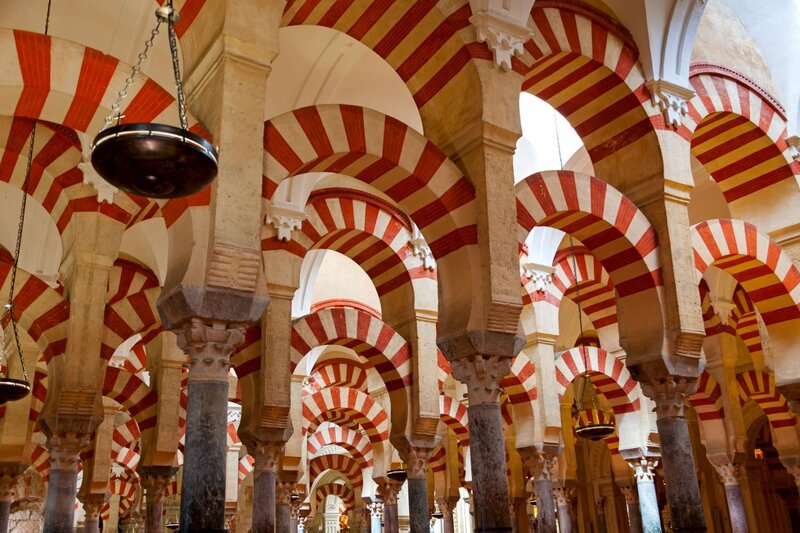 The Mosque ‘Mezquita’ is one of the best things to see in Cordoba. The beautiful building is a testament of Moorish architecture and a humbling sight. Throughout the city, tourists are amazed by the wealth of monuments and historic tales of Roman, Arabic and Christian conquests in Spain. Mezquita Cordoba tickets are usually €8 for adults and up to €30 for a guided tour. Where to Stay – The lavishly restored historic manor house Hosepes Palacio del Bailio is a superb 5* offering. Located in the heart of Cordoba all the tourist attractions are easily reached on foot. So called Alhambra, named after its ‘reddish walls’. This ancient complex has recorded history dating back to the 9th century, if not before. 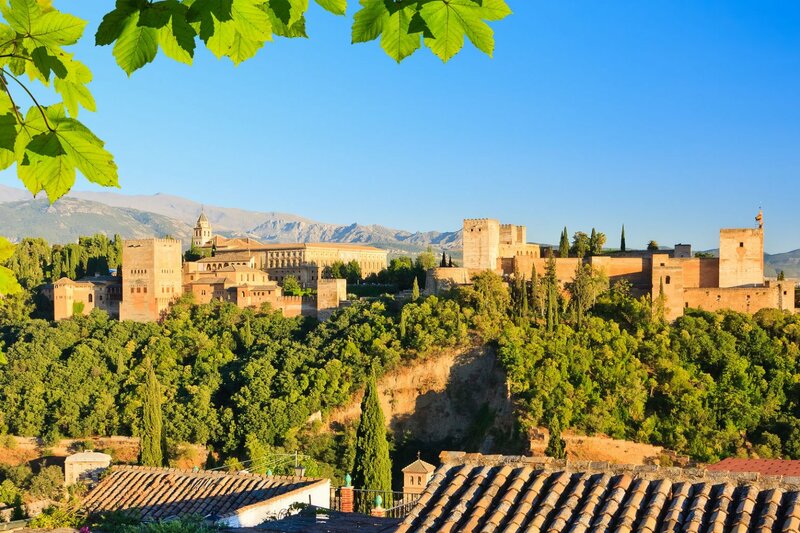 When planning a visit to Granada, Alhambra is definitely one of the top historical sites in Spain. It was not until the 13th century, during the Moorish rule, that Alhambra really entered history. Old roman buildings were reinforced and rebuilt in lavish Arabic design by Mohammed Ben Al-Hamar and his predecessors. After the Christian Reconquista, Charles V ordered demolition of parts of the complex to meet more catholic tastes. Alhambra was abandoned in the 18th century until the process of repair began in the 19th century. The result of this history, is a beautiful historic monument of true unique design. Elegant Moorish details and lavish palaces are a site to behold, not to mention views of the whole city of Granada. Location – Hilltop of Al-Sabika to the west of Granada, Andalusia. Where to Stay – Located in the heart of Granada, luxury hotel Hospes de los Patos is just 20 minutes away from Alhambra. Admission – There is a limit to visitors per day so it is recommended to book your admission slot at least a day before. The city is open March – October, 8.30am-2pm and 2pm – 8pm but evening tickets to the palace and gardens are also available on a limited basis. When visiting Seville the list of exciting things to see and do is somewhat lengthy. But if you’re just wanting a small dose of sight-seeing don’t miss the Alcazar in Seville. 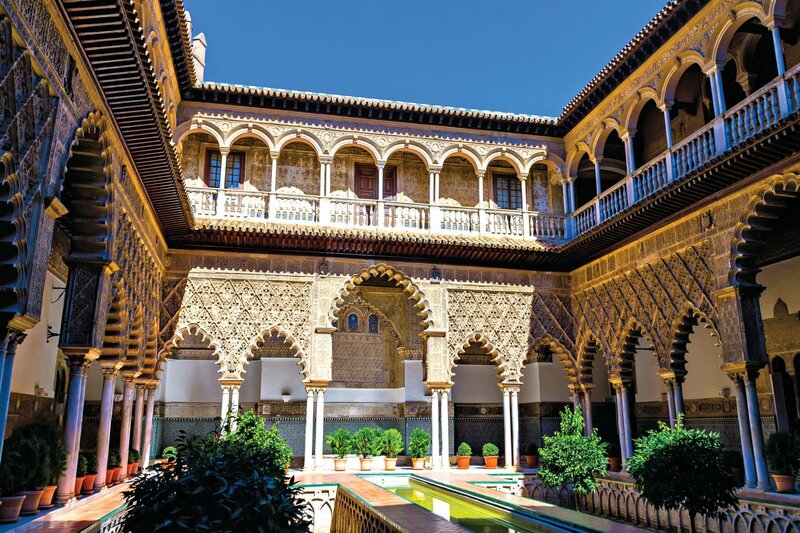 Of all the historical sites in Spain, there are none as pretty as the Alcazar of Seville. Surrounded by tranquil gardens and pavilions dating back to the 9th century. It is quite easy to get lost in the drama and history of the lavish Moorish architecture. Appearing in several film sets its easy to see what all the fuss is about. Where to Stay – Mirroring the Moorish architecture of the city, Hotel Alfonso XIII is a city landmark itself. Antoni Gaudi took part in the building and designing of 7 properties in and around Barcelona. His work now an UNESCO world heritage site, is a testament to his exceptionally creative contributions to architecture. The buildings are unlike any other. If staying in Barcelona don’t miss a visit to La Sagrada Familia an iconic cathedral still in construction today. 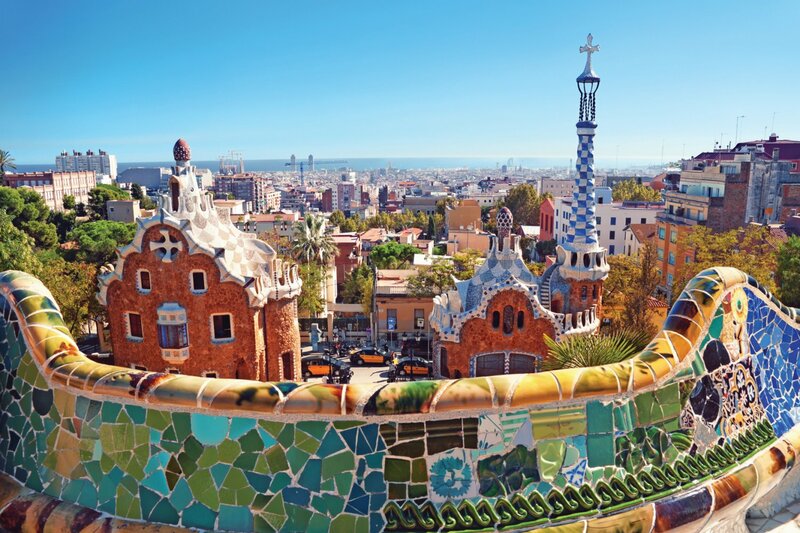 The stunning Park Guell is a notable example of Gaudi’s beautiful architecture. The public park is composed of gardens and stunning mosaic architecture. An enchanting space of fairy-tale gatehouses and a mosaic lizard guarding a magnificent staircase. Where to Stay – Nestled proudly by the city’s seafront, landmark Hotel Arts Barcelona is just a 10 minute transfer from the Sagrada Familia. 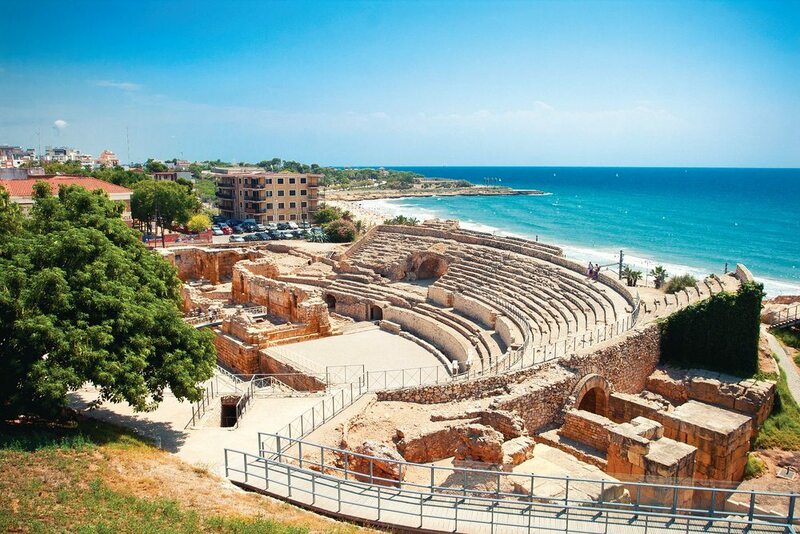 Located in Costa Dorada region and just an hour from Barcelona by train or car, Tarragona was once the capital of the Roman empire in Spain. Today Tarragona is a historical and cultural city. Tarragona Combines the ancient city of Tarraco with the new seaside town it is today. Explore the city walls, discover the impressive amphitheatre and witness the magnificent cathedral. Meander the charming alleyways and discover an unforgettable selection of superb restaurants and friendly culture. Location– The town itself is backed by a beautiful beach and is just 1 hour from Barcelona. The city is easily visited on a day trip from Sitges or Barcelona. Where to Stay – If visiting Tarragona on a day trip from Sitges, we recommend the tranquil hotel Dolce Sitges, for sophisticated dining and sophisticated surroundings. If you want to learn more about any of these luxury hotels, visit our website to find out more. these sites are amazing and I hope to be able to visit someday I HOPE!!!!!! !